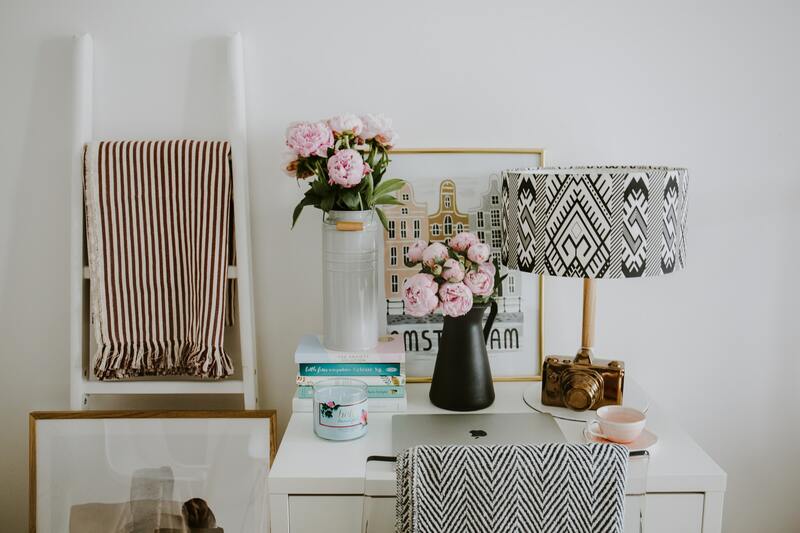 If you want to impress your crafty friends or if you want to update your interior without spending a massive amount of money, then these low-cost dollar store decor ideas will definitely help you out. You can now create awesome projects by spending just a few dollars within in a few hours. This awesome list of 10 DIY home decor ideas from the dollar store are not only budget-friendly but also beginner friendly. So, you don’t need a massive amount of money or years of experience to do this. You’ll be amazed when you see the final product because these handmade pieces look utterly professional. This one is pretty simple and beautiful. But after finishing it, if you tell someone that it’s handmade, they probably won’t believe you. You need cotton piping, white spray paint and a plastic planting basket. Now you have to decide on the colors. You can simply mix different colors and bend the cotton piping in it. Now you have to wrap it around the basket. Hot glue gun should be used to keep everything intact. You must have seen various mason jar organizers, but this one is special. You can choose your desired colors. A perfect color combination looks fantastic. Now, keep all your kitchen items in it and impress guests with the new look. Mason jars can be utilized in various ways. And another great way you can use them it to turn them into a homemade soap dispenser. It’s such a cute way to dress up your bathroom! These bookends are different from others. Elephant bookends can be utilized even without books. It’ll enhance the look of your house while also being playful. You can find elephant toys at any dollar store, spray paint them any color (gold, a pretty blue, etc), and use them on your shelves. If you want to store your mouthwash, soap or any other liquids stylishly in your bathroom, then try using a decanter. This will add a bit of glamor to your bathroom, and it’ll start looking classy instantly. Usually, people buy cake stands but don’t get much opportunity to use them. But you can use it in many different ways, such as counter space saver. Just place your kitchen items (like soap, dishcloth, etc), on the cake stand, and you’ll have a cute way to get rid of clutter. All you have to do is grab some spice jars; you can choose any shape or size. Now you need a big spice rack so that you can store them beautifully. You always have to get down on your knees to look through the cabinets while searching for a pan or pot. It’s time to save your knees because we have an easy solution for you. Simply hang your pans and pots with the help of towel bars, and you won’t have to bend over anymore. If you put corkboard on a door, it’ll make your life so much more hassle-free. It’s a great way to organize measuring cups and other items that aren’t too heavy. Now you can understand that a few bucks with a little bit of creativity and imagination can make your life much more organized than before. So grab these amazing items from dollar stores and try them out!